Japan may be forced to dip into $3.5 billion in emergency reserve funds from this year’s budget to help TEPCO, the operator of the crippled Fukushima nuclear plant, deal with deepening radioactive water problems at the site. 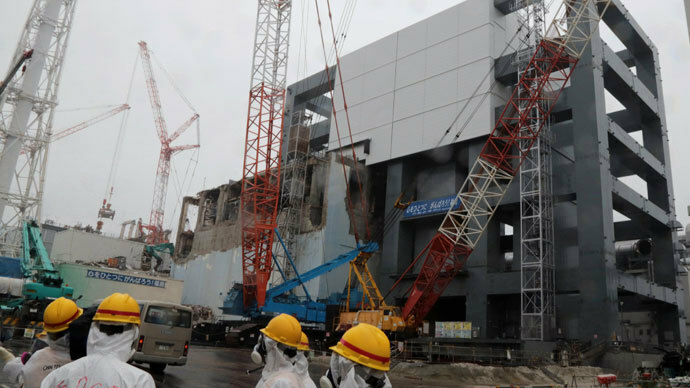 Visiting the disabled Fukushima Daiichi Nuclear Power Plant on Monday, trade and industry minister, Toshimitsu Motegi, said he would send a taskforce to manage the clean-up and send officials to oversee the operations, Reuters reports. "I strongly feel that the government should get fully involved," he told reporters after touring the facility, located some 137 miles north of Tokyo. "For measures that require sophisticated technology, we will appropriately implement them as the government while collaborating with authorities on fiscal measures, including the use of a reserve fund," Motegi continued. "It is necessary for the country to step forward and offer support to solve the problem as well as prevent a recurrence." Suga said Motegi had been instructed to come up with measures to help tackle the crisis, including the possible use of reserve funds from the state budget for the year ending March 2014. The country has set aside some $3.55 billion in reserves for natural disasters and other emergencies. 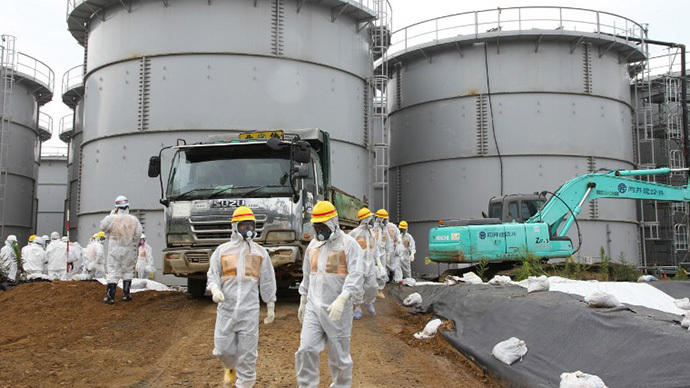 The call for help came after TEPCO admitted on Wednesday that as much as 300 tons of radioactive liquid (70,000 gallons) containing large amounts of cesium leaked into the ground from one of around 350 improvised tanks at the site. 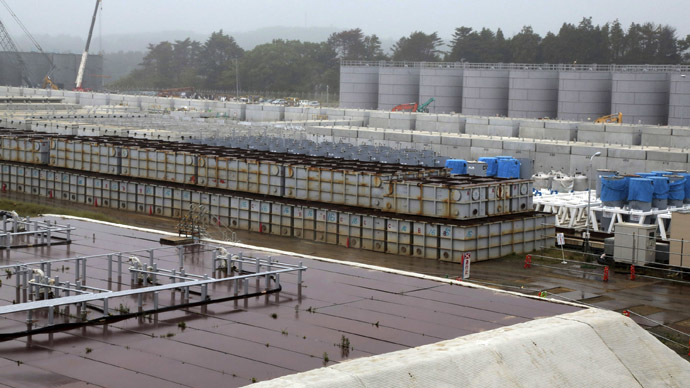 The tanks, assembled hastily after the 2011 earthquake and tsunami that triggered the nuclear meltdowns at the plant, are used to store water pumped through the reactors to keep fuel in the melted cores from overheating. 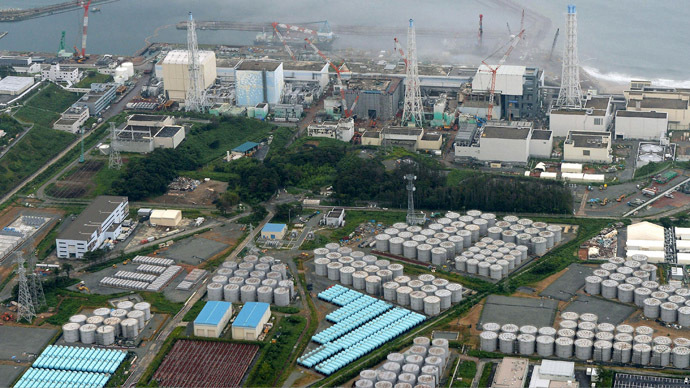 Motegi ordered TEPCO to replace those tanks which run the risk of leaking radioactive water, saying the firm should have more frequent patrols around the tanks and better documentation of inspections. He also said the temporary tanks, which are collapsible and held together by rubber seals, should be replaced with more durable ones with welded seams. 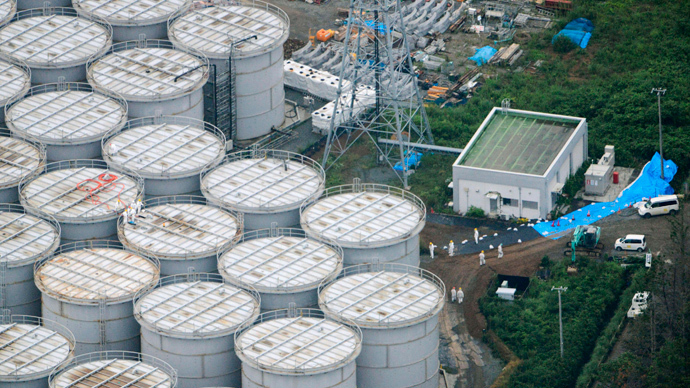 TEPCO said it would set up its own group of experts to manage toxic water and storage tanks at the plant. News of the leaking tank came amidst an ever-accumulating series of setbacks, including workers exposed to radioactive mist, power outages and other leaks. After repeated denials, TEPCO admitted in July that an estimated 300 tons of radioactive groundwater has been leaking into the Pacific Ocean every day from trenches between the reactor buildings and the shore.The string of setbacks pushed TEPCO to admit last week it needed international assistance to contain the radioactive fallout, after 29 months of attempting to contain radiation from Fukushima’s molten atomic cores. Responding to TEPCO’s request, Russia reiterated an offer first made two years ago to help clean up the accident ravaged power plant. “In our globalized nuclear industry we don’t have national accidents, they are all international,” Vladimir Asmolov, first deputy director general of Rosenergoatom, the state-owned Russian nuclear utility, told Bloomberg by phone last week. Asmolov said Japan’s approach to cooling and decommissioning the station would need to change and employ technologies developed outside of Japan if the cleanup is to prove successful. On Sunday, Japanese Foreign Minister Fumio Kishida visited Chernobyl in Ukraine, the site of the 1986 nuclear disaster, with an eye to applying lessons learned there to Fukushima. "I directly saw that the battle to contain the accident still continues 27 years after the disaster. Ukraine's experience and knowledge serve as a useful reference for workers coping with the Fukushima nuclear crisis," Kyodo news agency quoted Kishida as telling reporters. 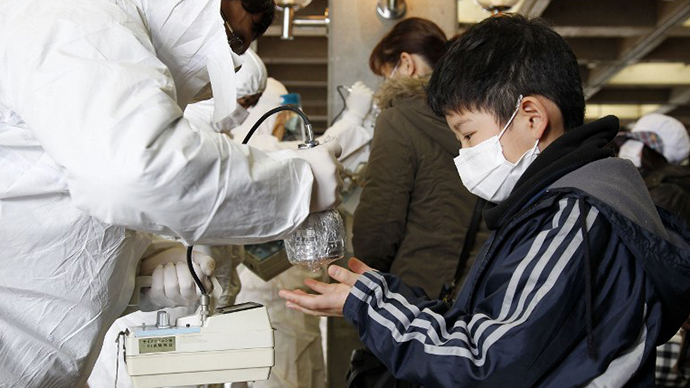 The United States and France are also likely candidates to apply their experience and technical expertise in helping Japan clean up the contaminated sites.